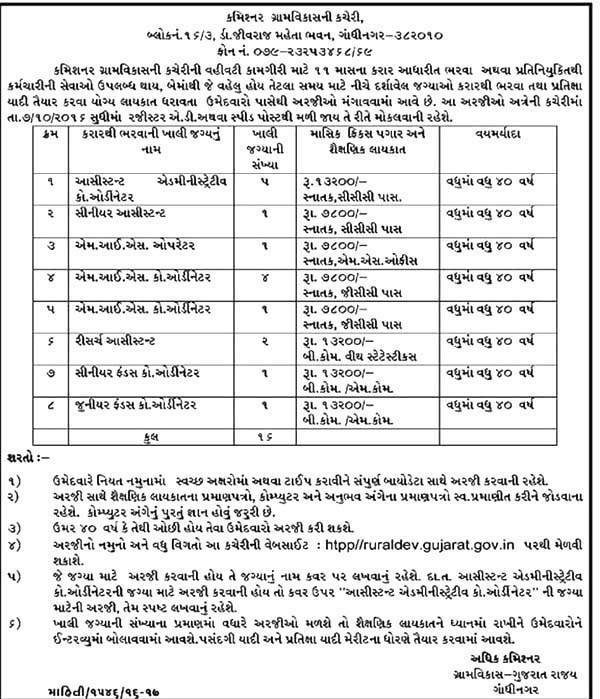 Commissionerate of Rural Development, Government of Gujarat, Gandhinagar Published Recruitment Advertisement for Assistant Administrative Coordinator, Senior Assistant, M. I. S. Operator, M. I. S. Coordinator, Research Assistant, Senior Funds Coordinator and Junior Funds Coordinator Post. 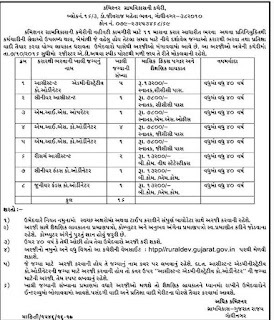 Send Application to This Address : Rural Development Office, Block No. 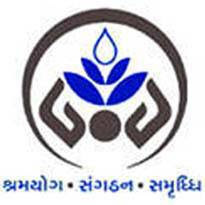 16/3 Dr. Jivaraj Maheta Bhavan, Gandhinagar - 382010.